They're up to their old tricks again. 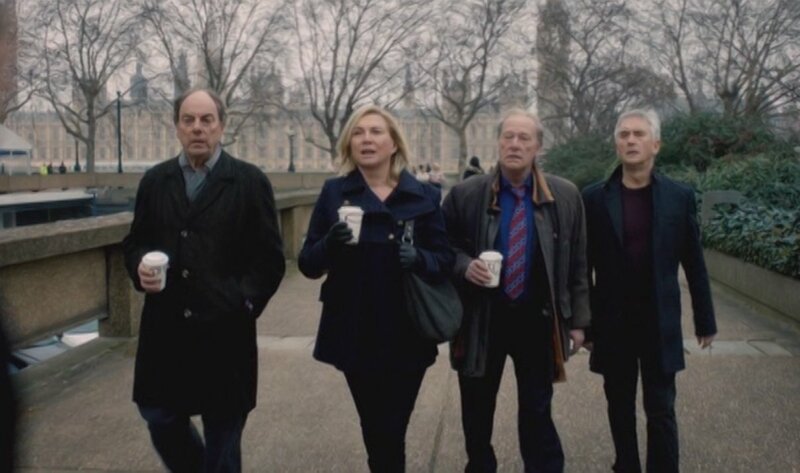 The aging crime solvers and their glamorous boss (Amanda Redman) are still out there solving crimes and generally sticking their noses where they don't belong in New Tricks: Season Nine. These 10 episodes mark a turning point in the series: the departure of beloved Jack Halford (James Bolam) and the introduction of new team member Steven McAndrew (Denis Lawson). These episodes are a welcome visit with old friends. Brian Lane (Alun Armstrong) is as neurotic and worried as ever as his OCD comes into play during investigations. Ladies' man Gerry Standing (Dennis Waterman) still has a go at chatting up attractive women. 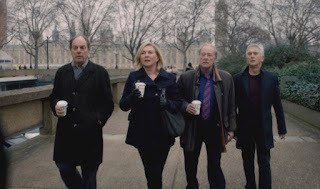 DS Sandra Pullman (Amanda Redman) struggles with her attempts to find the solutions to old crimes, even when attempts are made to reign in the investigations. In the first episode, "A Death in the Family" the UCOS (Unsolved Crime and Open Case Squad) team is called in to investigate a crime that happened over 150 years ago -- the unsolved murder of a young woman. Since the investigation is being driven by the slimy Stephen Fisher, an intelligence officer, and not the police, the team members are reluctant to investigate, especially since if they solve the crime, there would be no way to prosecute the guilty party. Still, they are "persuaded" to see what they can come up with. At the same time, the team members are rocked by the news that their colleague Jack Halford is going to retire. Actually, he's going to retire again, since UCOS is made up of retired detectives. This time he's planning to leave the force and move to a house in France. He confides some disturbing news to Brian, who then feels the weight of keeping a secret. In episode 3, new colleague, in the form of retired Scottish detective Steven McAndrew, joins the team to work on the cold case of a missing girl. This girl disappeared without a trace 8 years ago, and the case was never solved. McAndrew worked on the case, and now that new evidence has surfaced, he comes out of retirement to help UCOS get to the bottom of things. The girl's DNA has turned up at the scene of a convenience store robbery, giving credence to McAndrew's belief that the girl is still alive. McAndrew's personality and methods at first rub his new co-workers the wrong way. He's rather chatty and his thick Scottish accent is sometimes difficult to decipher (at least according to Gerry). He also provokes fights in order to steal cell phones, and isn't above exerting some "pressure" on unwilling suspects in order to get them to talk. His unorthodox methods are undeniably effective, though, so he eventually earns the grudging respect of the team. After the case of the missing girl is solved, McAndrew is persuaded to come out of retirement and join the team full-time -- although Jack's desk is still a no-go area! The cases the team work on are all interesting and provide a variety of challenges for them. One case even takes McAndrew and Gerry to Glasgow. The shadowy world of intelligence officers and their shady pasts (including that of their boss, D.A.C. Strickland) also play a part in the crimes the team gets involved in. Even though they are retired, the team members are more than willing to get involved in physical altercations with the bad guys when necessary! I really enjoyed seeing the old gang again. 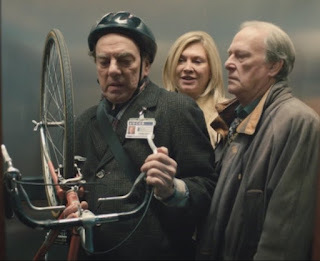 Even though the departure of Jack did lend a somewhat somber aspect to the earlier episodes, the jaunty new team member, Steve, does help to give some new blood to the team. His unusual methods and adjustment to the group are enjoyable to watch. I hope this new team will be together for new adventures for a while! The DVD also included some video extras, including one on the "New Cop on the Block" and a look at preparing for an action-packed day of filming in "The Day of the Stunt." 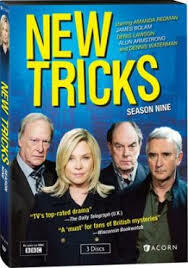 Some familiar faces also pop up here and there, including Sarah Smart (Wallander) and Sharon Small (Inspector Lynley).